Exfoliation. It’s a beauty girls favourite skin ritual. There’s a lot to be said about the effectiveness of exfoliants at renewing skin cells, improving skin texture and brightening complexions. However, your brand new super resurfacer could be doing you more harm than good. If the skin on your body is cardboard, the skin on your face is paper. So gently does it Beauties! The biggest sign you’re over exfoliating… breakouts! We have your attention now Beauties! Many acne prone skin types reach for the exfoliants to extract and buff away blemishes with coarse scrubs. This is a big no-no. 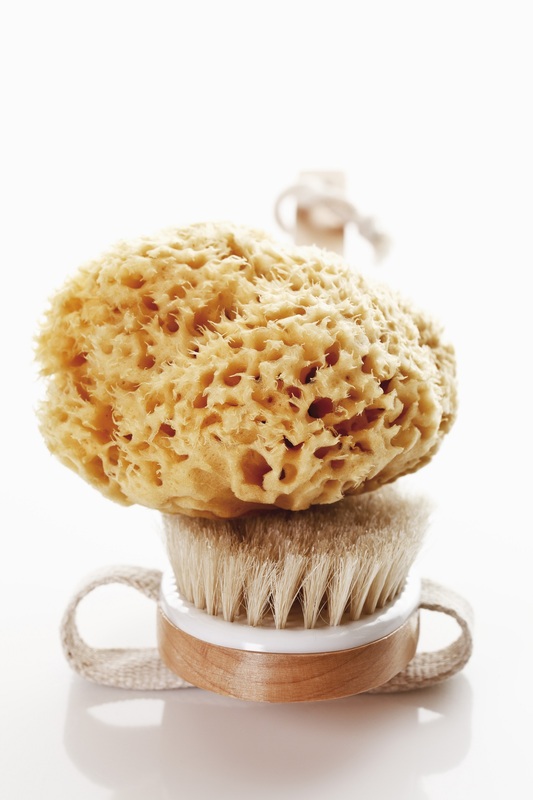 Harsh scrubbing of affected areas only inflames active acne and spreads the infection to otherwise healthy skin cells. Other signs you’re probably overdoing it include; itchy, flaky skin, dryness or redness and sensitivity. If you’re over exfoliating you remove your skins natural protective barrier, leaving it prone to irritation. If you remove the skins protective layer you’ll find your skin becomes more reactive to other products as it tries to repair the damage. Whilst physical exfoliants feel fantastic to use - they’re most likely harmful to your skin particularly if you’re using it daily (and we know you are!). Step away from the scrubbing brush beauties! Physical exfoliants are fantastic in their own right, though only in moderation - think once a fortnight! Coarse physical exfoliants can actually aggravate breakouts, spreading the infection to otherwise clear pores by nicking off the top of active blemishes. Scrubbing away at your face regularly might actually slow down the healing process, rather than accelerate it! Lesson learned. Beads be gone! Enter chemical or hydroxy acid exfoliants which offer visible results without harmful scrubbing. The major difference between physical and chemical exfoliants is the physical kind uses friction and abrasive kernels to smooth the skin surface i.e. a scrub or face scrubber. A chemical exfoliant on the other hand, works on the skin’s surface to dissolve dead skin cells and reveal a smoother, fresher complexion without potentially damaging new skin cells. Whilst physical exfoliants can be great for oily or male skin which are more resilient to scrubbing, chemical exfoliants are ideal for those looking to tackle ageing, sensitivity, dry or flaky skin, breakouts and pigmentation. We recommend a healthy dose of at home chemical exfoliation using ASI Pure Pro Exfoliant with a trip to the salon for your fortnightly ASI Pro Peel to reveal a fresher, glowing complexion. Trust us - your skin will thank you for it.